gunjan listens to everything and comes in the room locks the door questions rachna why did she hide everything from her. Rachna explains the circumstances why she could not tell her. Rachna is scared its already 12 but gunjan says if that mintu wants a kiss he will get a kiss. Rachna is really scared and so is chaya. Chaya tells that she is not from mumbai that she can kiss anyone. Gunjan explains that people from mumbai have same sharam that other people have. Chaya hugs gunjan and tells that if her parents come to know about it they wont let her be friends with rachna. Gunjan tells some plan to the gals but we are not told what the plan is . Someone is knocking o the door its dolu who wants to come in gunjan tells him only girls can come in and sends him away. Chaya is told to go home. Dholu goes and complains to shayl that gunjan is not giving him attention . But when shayl comes to the girls room no one is there. Seema is lost admiring her pretty saree . Gunjan and rachna stand outside seema s door. Gunjan starts saying loudly that she wanted to gift seema with a saree for dabbu s engagement gift so she wants to go to market. Greedy seema in the hope of another gift allows the girls to go and even agrees to talk to shayl about the girls going out seema falls hook line and sinker for gunjan s lie. They almost reach the door but bang into mayank . Mayank has a smile on his face throughout but wonders where the girls are going. shayl asks seema where the girls went but she covers up for them. (wat a greedy woman )dholu is upset that gunjan went out without him. Mayank decides to distract him by playing panja with him. Dholu is still angry that gunjan left without him so he complains to mayank now and tells him that there is some secret as the girls were repeating ‘plan’. Mayank also thinks something is fishy . Rachna asks gunjan how did she end up doing such a mistake but gunjan consoles her saying its not her fault and they will teach mintu a lesson. Mayank s father is in the market and the girls hide from him. charu calls sangeeta and plead that she wants to meet mayank. Sangeeta and her husband try to convince mayank that he should meet her outside but mayank is not convinced . Sangeeta s husband tells him to take charu to some hotel for coffee this is the same hotel where mintu is meeting rachna . Rachna meets mintu and he is very pleased that she dressed up for him he holds her hand she pulls it away and asks what she wants to eat she says nothing but Mintu asks rachna to eat ice cream and says its sweet and creamy like her (creep kahinka) gunjan comes in and says hi. Mintu is shocked and angry. She tells even she wants to eat ice cream. 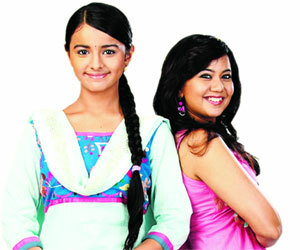 Episode starts with Gunjan saying hi to mintu. Mintu tells Rachna that he told her to come alone and tells Rachna wait and watch what I do now. Gunjan tells Mintu he is getting angry at the wrong place and they all sit down, and Mintu tells Rachna that go home and you will find the photos there before you reach your place. Gunjan tells Mintu that you look even more handsome when you are mad XD Gunjan tells Mintu the reason she came here with Rachna, and tells him that the day she read his chat, she wanted to be his friend since then, because only a real gentleman could chat like that and tells him that she wishes someone would do a chat like that with her and be so desperate for her like him. Gunjan thanks him that atleast the shy Rachna stepped outside of the house, and brought them both to meet Mintu. She tells him that since she is from Mumbai, she knows how to live so openly, but here in Banaras she’s got no friends. She asks Mintu if she can take a picture of them both, and takes two photos on her phone. Gunjan says that these pictures didn’t turn out so well, and tells Rachna to take a picture of her and Mintu. Mintu says isn’t this enough, and Gunjan tells him that the clarity on her phone isn’t that great, and asks him if he has a camera. Then she says but this isn’t Mumbai that people would have cameras. Mintu tells her for your kind information I have a digital camera and pulls it out. It’s the same one with the pictures of him and Rachna in it. Gunjan tells him to please take a picture of him and her. Mayank comes and all three duck away from the sight of him. Mintu asks whether this was part of their plan, and Gunjan says she wouldn’t be ducking if it was a part of her plan. Mayank drops a paper on the floor and gets down to pick it up, he doesn’t see Gunjan Rachna or Mintu. He grabs a seat next to the table where Mintu Rachna and Gunjan were sitting, and Charu wearing a Pink Sari dressed up so fashionably walks through the door with balloons in her hands. A waiter bumps into Charu and she falls, she starts yelling and calls for the manager, the waiter says sorry to her. Mayank tells her to chill and tells her to grab a seat. Charu’s sunglasses are on the floor and Mayank goes to pick them up, as he does, he sees Mintu hiding under the table, and asks him you here? Under the table? Mintu looks to his side and Rachna and Gunjan are not there 😀 He grabs Mintu from under the table and Mintu tells him that he came here to drink tea and dropped money on the floor. Mayank introduces him to Charu and Mintu leaves. Rachna hugs Gunjan and thanks her a lot for helping her with the Mintu matter. Gunjan tells her that let bygones by bygones and that henceforth she should learn to take care of herself. 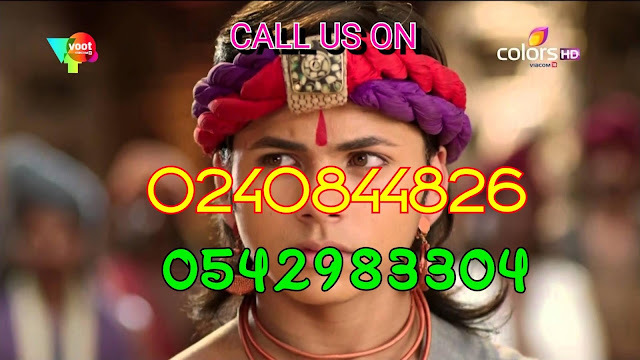 She tells him that she will find many people like Mintu that will threaten her and scare her and will take advantage of her weakness and tells Rachna to be courageous and then no one can do anything to her. Rachna thanks Gunjan again, and Gunjan tells her that the task is not complete yet and tells Rachna that along with her someone else is going to be very happy today as well. Gunjan tells Rachna that its Seema chachi as she will be getting a beautiful sari, and shows the bag in her hand to Rachna. Gunjan and Rachna come home and Seema tells them she will bring water for them as they must be tired. Gunjan tells her to take her gift first, and Seema blabbers about how there was no need for this, and that she is just like a daughter to her. Seema takes the gift and hugs Gunjan. Shayl comes, and Seema tells her that Gunjan has a brought a sari for her for Mayanks engagement. Shayl tells Gunjan that there was no need for this and Gunjan tells Shayl that there was. Seema asks why they both took so long at the market and assumes that Rachna forgot the pathway again. Gunjan tells Seema that she needed to buy a special sari for her that’s why it took so long and tells her that it started to rain on the way too. Gunjan tells them she will make coffee, Dolu comes and hugs Gunjan and tells her he was missing her. She tells him she missed him too. Gunjan says she will make sandwiches, and Sangeeta tells her that no one will eat those and that it’s the season to eat pakores and stuff. Gunjan says alright and tells her that Rachna will make pakore then. Both sisters go into the kitchen and Gunjan tells Rachna how with such difficulty she saved Rachna from trouble because she had that scared stiff look on her face that whole time and both could have landed in trouble. Dolu asks them what they are talking about. Gunjan tells him that he is too small to understand them and both sisters start making the food and while having fun with each other. Pihu comes over and both sisters come with the food and Gunjan tells everyone they all have to eat it, and have to give them a lot of good compliments on it and not point out any mistakes. The family starts eating the pakore, and Pihu is amazed that Gunjan knows how to cook, and tells her that by looking at her it doesn’t even seem that she even stepped into the kitchen before. Gunjan tells Pihu that she thinks too much about people, about what they know how to do and not, and that thinking about all this, she is only putting pressure on her brain. Mayank comes with balloons, and Seema asks him if he went to a fair, Gunjan starts laughing and Mayank is just lost in Gunjan *suna re suna re* the balloons fly from his hand into Gunjan’s hands and Mayank is just smiling at Gunjan. She pops a balloon in his face and starts to laugh, the family starts to laugh when she does that. Gunjan asks whether Charu gave him these heart shaped balloons XD Seema tells him to sit down and eat pakore and he tells them he is not hungry and goes to his room. He throws the balloons on the couch and lies down on his bed, he seems to be confused. Dolu comes into Mayank’s room and tells Mayank that he has something important to tell him about Gunjan. Mayank gets up and smiles and asks Dolu what the matter is. Dolu tells Mayank that he really likes Gunjan, and Mayank starts thinking about her again and romantic music starts to play <3 He tells Dolu he likes her too, Dolu says he likes her smile, Mayank tells he does too, he tells Mayank he likes her scolding too, Mayank remembers when she stopped him from smoking, and Mayank says it is a lot of fun when she gives a scolding. Dolu tells Mayank that he is going to go and tell Gunjan that he finds her really nice, and Mayank tells Dolu that he is going with him to say that. The family tells Gunjan that the pakore she made were really tasty. Gunjan's phone rings, and Seema's husband says that she's even starting to get pakore orders XD She checks her phone and its Mintu. She shows Rachna her phone and Rachna is terrified.